Getting to Maribor is simple. By plane, car or train. 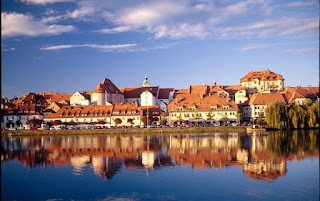 Maribor is the second largest city in Slovenia, and is also the economic, cultural, scientific reserach, convention and complete tourist centre of northeast Slovenia. 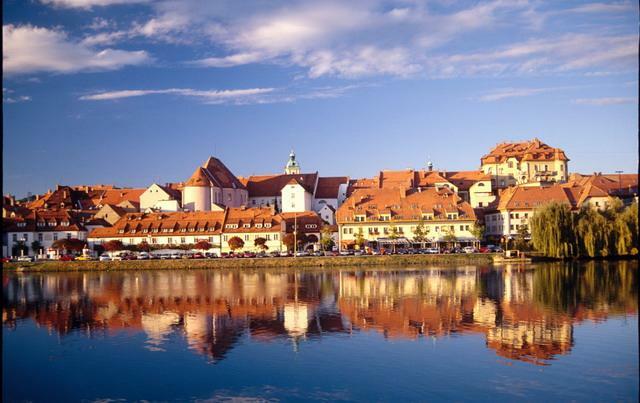 Maribor is likewise a traffic centre as it lies on the crossroads from west to east and southern Europe, and is just 11 km from the Austrian border. It is situated in continental Europe at a position 275 metres above sea level between Pohorje, Slovenske gorice and Kozjak on the gravel terrace of the Drava valley. More simply said it lies in the embrace of green Pohorje and wine growing slopes beside the river Drava. Please find the map bellow and more details about how to get here. Slovene aircraft carrier Adria Airways: http://www.adria.si. * the Auto-Train on the route Bohinjska Bistrica-Most na Soči-Bohinjska Bistrica has space for bikes in a special wagon. The price for bike transportation is a unit and does not depend on the distance. In case of overbooked trains we advise you to check before you arrive at a railway station by calling Tel. +386 (0)1 291 33 32.